Grafenberg, October 16, 2013. Electronics competence from a single source – this is the slogan for RAMPF’s presentation at productronica 2013 from November 12 – 15 in Munich. The Group companies RAMPF Giessharze, RAMPF Dosiertechnik, and EPUCRET Mineralgusstechnik are showcasing their latest products and solutions for the electronics industry: from electro casting resin to dispensing systems and customer-specific positioning and moving systems. 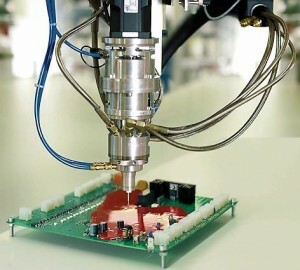 One company covering three key areas of electronics production with a single manufacturer: visitors to this year’s productronica will be able to witness this at the RAMPF stand, where its companies RAMPF Giessharze, RAMPF Dosiertechnik, and EPUCRET are exhibiting. 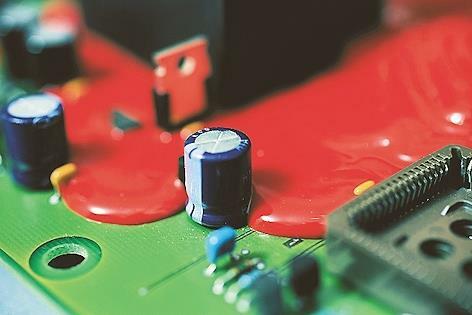 RAMPF Giessharze, a leading developer and manufacturer of polyurethane and epoxy resin systems and silicones, provides a wide range of individual solutions for insulating, protecting, and embedding sensitive components. The reaction resins specialist creates perfect casting systems for all electrical requirements. This ensures the reliable insulation and embedding of sensitive electrical components. 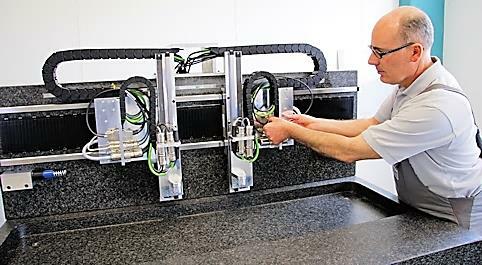 The casting systems for electrical and electronic applications from RAMPF Giessharze meet the sealing re-quirements of protection classes IP67 and IP69, are certified to ISO/TS 16949, and conform to EU directive 2002/95/EC. The customized electro casting resins also undergo extensive quality tests and fulfill all the crite-ria of the automotive and electronics industries. With over 2,400 system solutions on the market worldwide, RAMPF Dosiertechnik is one of the leading manufacturers of low-pressure mixing and dispensing systems. The innovative systems for processing single-, dual, and multi-component reaction resin systems are also used in the electronics industry, where they en-sure the highest level of process reliability when applying highly filled heat dissipation materials to electronic assemblies. The K-DP from RAMPF Dosiertechnik is compatible with the following dispensing systems from the company: DC-CNC-1150, DC-CNC, CNC-DR, C-DS, and DC V AC. EPUCRET develops and produces high-end positioning and moving systems for all kinds of application areas and sectors – and does so cost-effectively, quickly, and to the highest standard. EPUCRET offers innovative complete solutions for customer-specific positioning and moving requirements based on state-of-the-art de-velopment tools, components, and production methods – from design and layout to production, installation, and commissioning.